As someone who had the amazing opportunity to study abroad while in college, I spoke with some of my friends to come up with the top 5 places to base your study. This list takes into account many different aspects of each city such as: food scene, nightlife, arts, accessibility to travel, and difficulty level to move about the city. The city of Love: Paris, France. This city is awesome on many different levels. It appeals to so many different personalities such as: foodies, art lovers, wine lovers, concert goers, sightseers, and sports fans. First off, the food scene is out of this world. From pastries such as croissants and macarons to duck confit and steak frites, there are endless possibilities to try something new and delicious not to mention the price of wine being less than a bottle of water. The numerous art museums in Paris are stunning and free for students who are studying abroad as long as you show your international school ID. The Louvre is the most famous of the art museums which houses the Mona Lisa among others, and it once housed the royal family of France before they moved to Versailles Palace in a suburb of Paris. There is also the Musée D’Orsay which houses all of the impressionism paintings from artists such as Renoir, Monet, Manet, and Van Gogh. This museum is my personal favorite. There is a very underrated nightlife in Paris that caters to both the bar crowd who would like to sit and talk to the nightclub crowd who like to go to concerts such as Big G and Avicii. Everything in between can be found. Honestly, the best part about Paris is the metro subway system that connects the entire city to both major international airports. The best way to use the metro inexpensively is to buy a monthly pass that allows unlimited rides on the metro for the entire month. This makes Paris also attractive because flights too and from Paris are very inexpensive. While I was studying there, I was able to find a flight for cheap to almost anywhere in Europe due to the two airports. Barcelona, another city that is awesome on many different levels. This city is one of the nightlife capitals of Europe. The people do not go out to dinner until 10pm, and they take a long siesta in the afternoon. Almost all of the bars and nightclubs are located on the beach, and it is a wild scene. During the day when you are not taking siesta or sleeping from a long night out, there are many places to go and visit. 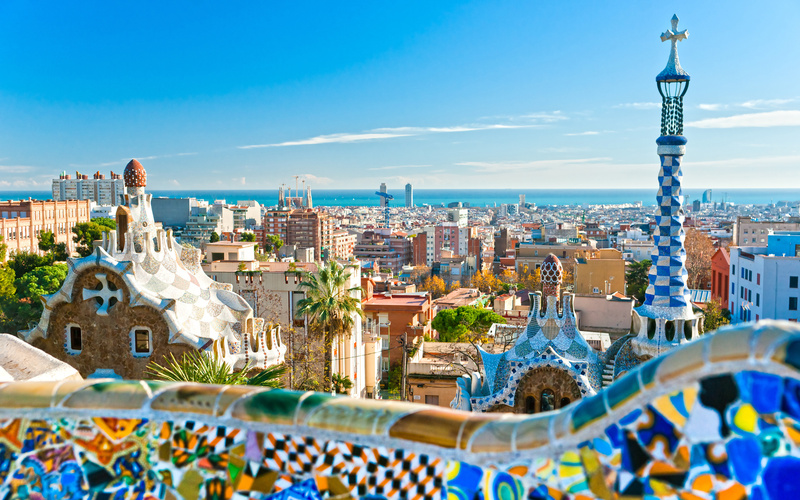 Some of the major attractions in Barcelona are built by the architect Gaudì such as Park Güell, the Sangrada Familia and Casa Batllò. All of these places are crazy in the architecture and when they were actually built. Bacrelona is home to some of the best beaches in the world as well, so this place is perfect for those who like to relax, grab a drink, and go to the beach. Barcelona also boasts one of the best soccer, or futbol depending on where you are from, clubs in Europe in FC Barcelona. The team has players such as Lionel Messi and Neymar. They are almost always atop the standings in the Spanish League. The transit system in Barcelona is very user-friendly and also offers monthly plans like the ones in Paris. However, there is only one main airport in Barcelona, so it may be a little bit more expensive to travel to and from destinations to Barcelona. This is going to sound redundant, but Florence is another city that is amazing on many different levels. However, this city is unique because it is a walking only city with almost no cars or busses or trains throughout the city. It takes about 1 hour to walk from one end of the city to the other, and all of the streets are very narrow and have the olden times theme of cobblestone and brick buildings. The food is, personally, my favorite throughout all of Europe in my opinion. From pastas to pizza to Florentine steak and gelato for dessert, everything is out of this world. The nightlife is perfect for the nightclub crowd. People usually start going out around midnight until about 4am or 5am. However, getting to Florence is the toughest out of the three cities to get to. Since Florence is located in the middle of Tuscany, their airport is very small and not conducive to travel in and out of. Because of this, one must take a high speed train from Florence to Rome and then fly to and from the destinations out of the two major airports in Rome.